Listen to Lana Del Rey version of Madonna’s You Must Love Me. This new version is included in Andrew Lloyd..
Rumours: Lana Del Rey recorded a cover of Madonna’s You Must Love Me? 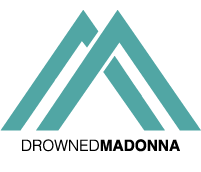 RUMOURS – Lana Del Rey has reportedly recorded a cover of Madonna‘s Evita soundtrack song “You Must Love Me.” According..
After revealing Wash All Over Me, we at DrownedMadonna.com are very excited to disclose the title and details of another..